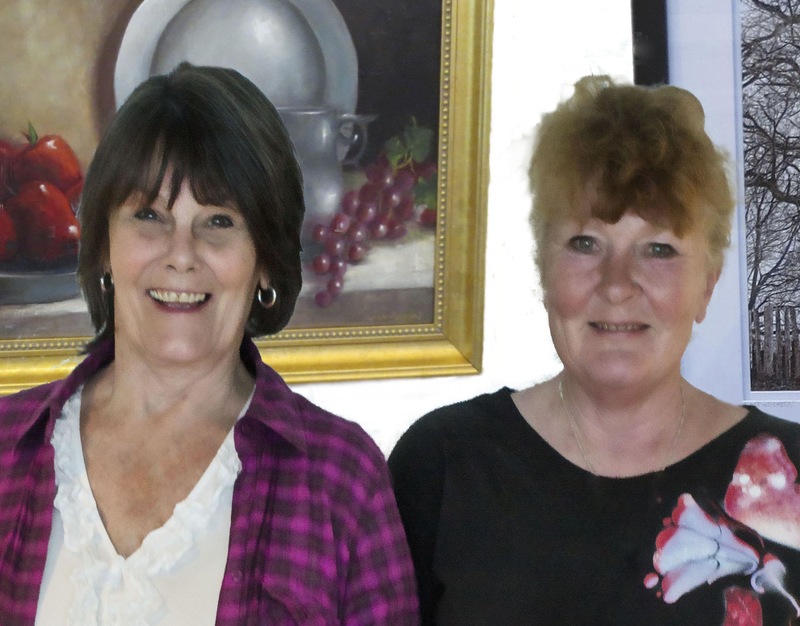 Carole E. Raymond, Chairman and Susan Melanson, President of the Bourne Wareham Art Association at The Artists’ Gallery at Wareham Crossing. The Artists Gallery hours of operation are 11 a.m. to 7 p.m., Wednesday through Sunday. Kicking off the summer in sophisticated style, Wareham Crossing recently announced “The Artists’ Gallery” will open its doors to the public on Friday, July 5, 2013. Sponsored by the Bourne Wareham Art Association (BWAA), The Artists’ Gallery will display the works of 15 local artists and will include oil, acrylic, watercolor and photography mediums. Original artwork will be on display and notecards, prints, Giclée and lithographs will be available for purchase. A grand opening reception will be held on Thursday, July 11th from 5 to 7 p.m. The public will have an opportunity to meet BWAA’s talented artists at this event. Light refreshments will be served. The Artists Gallery hours of operation are 11 a.m. to 7 p.m., Wednesday through Sunday. Wareham Crossing is located at 2421 Cranberry Highway, Route 28 in Wareham. “We’re delighted to have the opportunity to work with the Bourne Wareham Art Association and to help support artists within our community,” noted Niamh O’Maille, Field Marketing Manager at WS Development – Wareham Crossing. Owned and operated by WS Development, Wareham Crossing offers a vibrant blend of retailers and restaurants in an open-air, pedestrian-friendly environment featuring wide sidewalks with benches, detailed landscaping, and a signature lighthouse reproduction. Wareham Crossing is a 675,000 square foot shopping destination that offers more than 35 thoughtfully placed stores and restaurants including JCPenney, LLBean, Loft, DSW, Longhorn Steakhouse, Qdoba Mexican Grill and more. Wareham Crossing is located at 2421 Cranberry Highway, Route 28 in Wareham. For directions or more information, visit http://www.warehamcrossing.com or contact 781-749-7800.